Combo Systems come with both body pack and handheld transmitter, but cannot be used simultaneously. 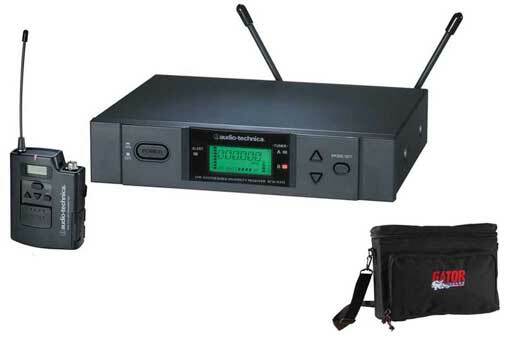 We provide frequency coordination with all rentals, which minimizes interference. 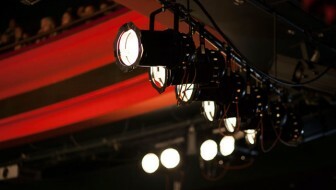 We also provide extended rental pricing for large systems and long term rentals. Please call and inquire. 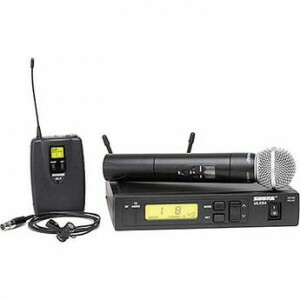 Shure ULXD-4Q, Quad channel digital wireless receiver with 4 bodypacks with lav/clip-on style mics. 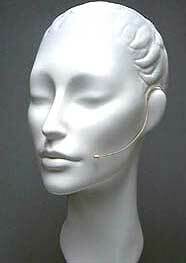 E-6 – Countryman E6 headset mic, beige color. 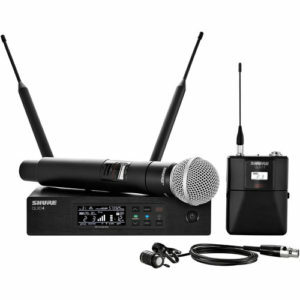 Requires wireless system. 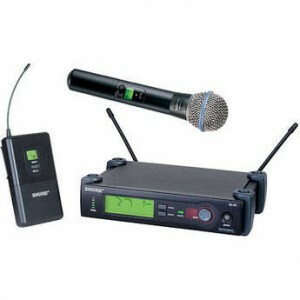 Compatible with Sennheiser, Audio-Technica and Shure wireless systems.